Carbon Crushers ready to launch! Where did May go? Last I checked, spring was just arriving. Now my baby is 2 years old and we’re nearly a week into June. 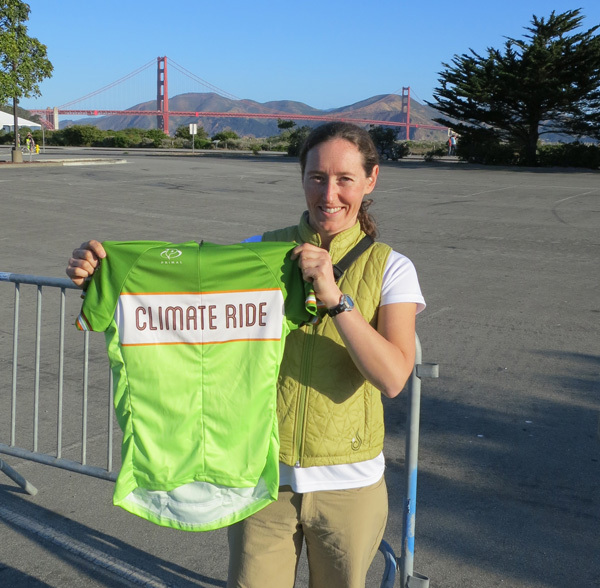 Oh, that’s right: I did Climate Ride. First: giant, enormous, warm and fuzzy gratitude to all 101 individuals who donated to my ride, reaching an amazing total of $5,807. I can’t thank you enough! Your generosity means that over $4,000 will go to TransForm – and the rest will cover expenses and keep Climate Ride going to raise even more money and awareness to fight climate change in the years to come. Getting a different view of Mt. Diablo, from the east side. 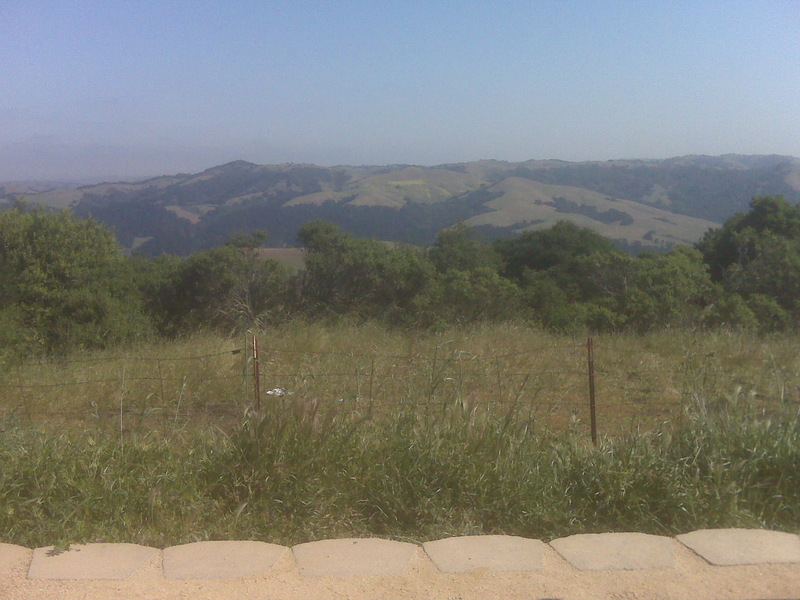 About a month after the organized training rides visited the Morgan Territory, I set out to try this ride myself. 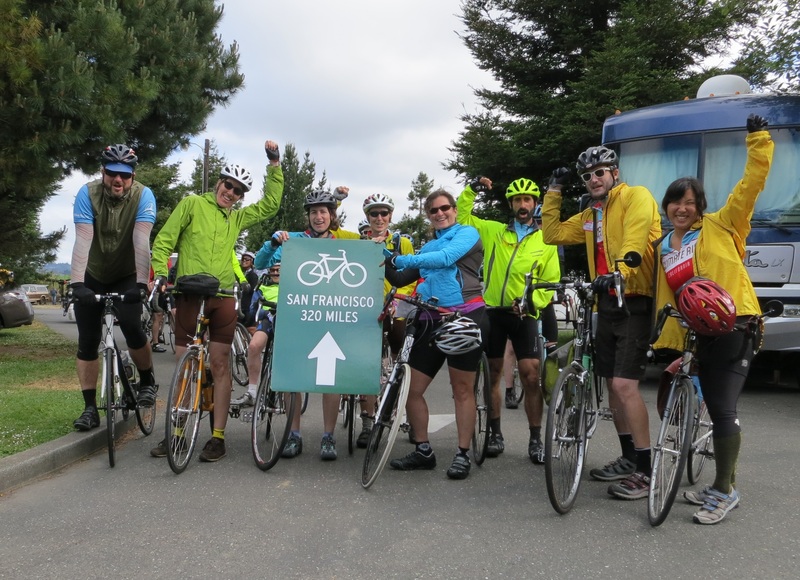 I would have liked to have gone earlier, to see wildflowers and green hills, but my restrictions – start at 6:00 a.m. before BART is running, minimize travel time to/from ride – meant that for me, it was a 60+ mile ride. 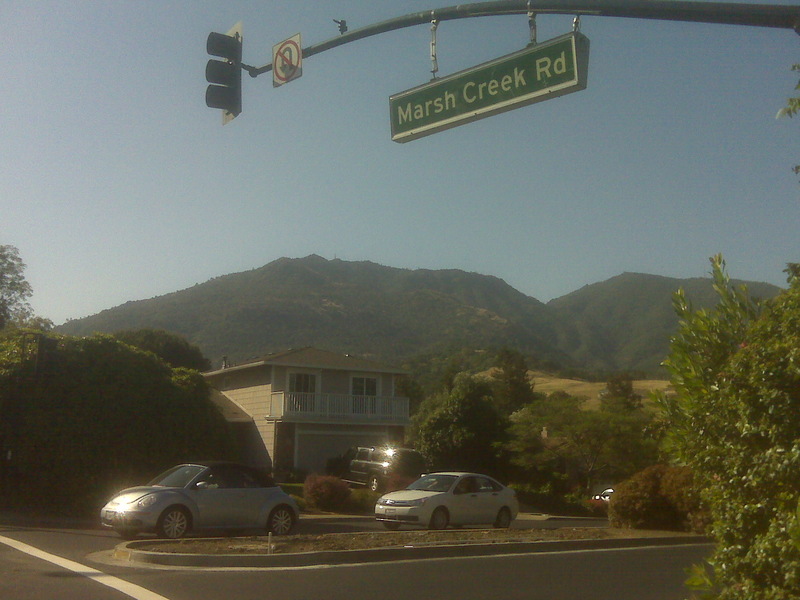 So I saved it for my peak training ride last Saturday and planned to head for the east side of Mt. Diablo starting from home. While I was eating breakfast, my phone buzzed. I get a text message every time someone donates, so at 5:30 a.m. I was hoping that it was an east coast online supporter – and it was! My cousin Kevin got the day started right, putting me within a few dollars of my fundraising goal. Loaded with lots of water and snacks, I headed out a few minutes past six. Training ride catch-up: Puppies and more! 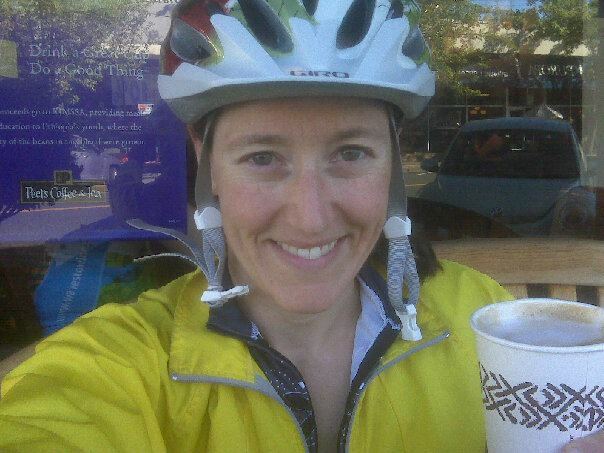 Coffee break in Orinda after the first 32 miles of my ride. 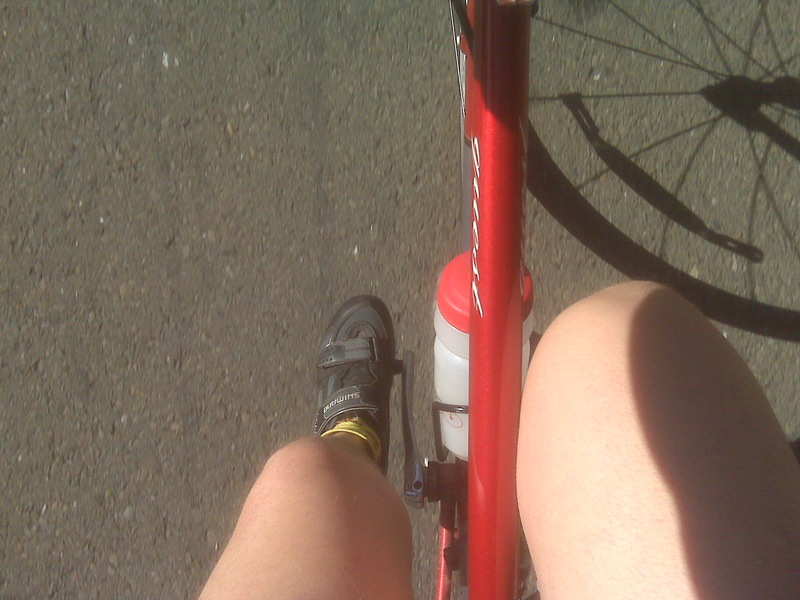 Here’s a catch-up post on my last two training rides. This is going up later than I had hoped, because I forgot the power supply for my computer on my trip to Sacramento…a theme perhaps? I set out a little later than the week before – 6:30 a.m. – to combine Three Bears with Pinehurst and do another 50 miles. It was still pretty darn cold rolling down Wildcat Canyon at 7:40 a.m. or so, and then I decided to roll the opposite direction around Three Bears, so I got some chilly fingers and toes before more climbing could warm me up. But I was rewarded with some great animal views – a deer along the ridgetop crossed right in front of me, a few small groups of turkeys, and even a little bunny hopped along the shoulder while I was on Bear Creek Road!